He is the son of Bold Ruler, out of Keechi Valley 78. He is one of the more well known breeding sons of Bold Ruler. 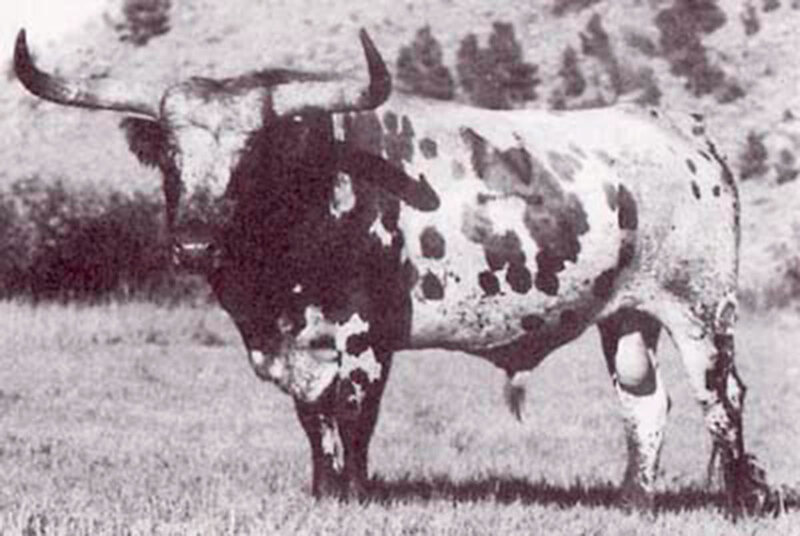 He possesses a speckled color & a high type horn shape, unlike many of his family. His dam was a high horned cow. He is known for siring beautiful curvaceously horned females of medium size. Some of his offspring had very pretty color. Some who use Play Boy, feel he is a sire of beautifully horned cows. He is the sire of Tango and grand sire of Roundup. Some of his calves are nervous like his sire Bold Ruler. This makes them great for steer roping.